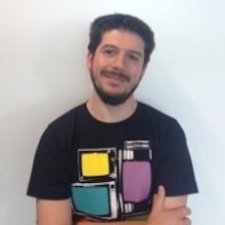 Forge Reply is an Italian games developer, founded in 2011, which has recently moved into developing games for VR. 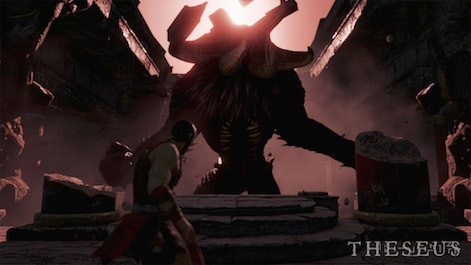 Its first VR title, Theseus, released for PlayStation VR on 26th July this year and, last month, was announced for PC with Oculus Rift and HTC Vive this Autumn. The game was the company’s third following on from Joe Dever's Lone Wolf, developed originally for mobile, and console couch-multiplayer shooter In Space We Brawl. Alex Calvin spoke to Forge Reply’s Samuele Perseo and CEO and partner, Paolo Capitelli, recently, in Milan, to ask about the company’s b2c and b2b VR and AR endeavours and the VR market in Italy in general. How's the last year been? You've been appearing to do quite a lot of VR by the looks of it. Samuele Perseo: Well, on the b2c side, we focused almost solely on Theseus. It was our first product for the VR market. We wanted to have something that could give us visibility as a studio, so VR was a good choice because, in the store, we could have more visibility than we could have gained with an ordinary product. Paolo Capitelli: In the b2b fields we've started experimenting a bit [with VR]. Speaking to our customers, we have discovered that all of them are really interested in this, are investing in experimenting with us. VR allows you to go into the project, to see the project in scale, and to collaborate with other people. We wanted to have something that could give us visibility as a studio, so VR was a good choice. With Theseus, I'm curious why you opted to go for a third-person view for the game. A lot of VR games like that would have gone for a first-person view. SP: We wanted the character to be able to do many different things, like climbing, crawling, fighting, and most of those actions would have not been possible or readable in first-person. We knew that we could not count on a very large installed base, so we wanted to focus on an approach that could be very usable. 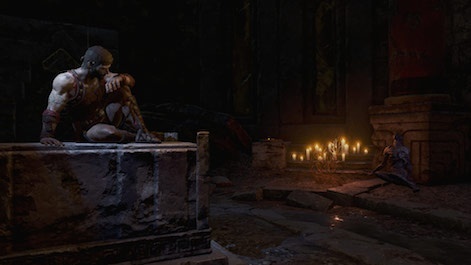 Part of it's gameplay-related and another part is more user-focused, user experience-related. If you think about dealing with the minotaur in first-person, and you imagine its massive frame, it would actually be difficult, in first-person, to make something out of his movements, it's easier with third-person. It can also help you with the artistic direction because you can direct the focus of the player; that helps you have dramatic entrances. With VR, we had to rethink a lot of things that were taken for granted, for example, use of text. If you use plain subtitles, which we had, but very very limited, for a few instructions like tutorials, you are asking the user to divert their attention, maybe look downward, which in VR means actually looking there, not anywhere else. PC: I think that most people think that the third-person experience gives you an experience that is too detached from the story, but it's not the case. You are there with a character and you can create an empathy with the character; you feel the same fear that he is feeling. SP: There were people who actually embraced the fact that it was different from what they could expect, but other people said, 'I had expected this and the game does not comply.' There's no right or wrong way to play a game and all of these are takeaways that we're trying to process and deal with for the future. Why did you launch on PlayStation VR first? SP: We could rely on the install-base which was publicly known, because they [PlayStation] were the only ones who share information about it. With Unreal, you can edit, put your hands inside the technology, the engine itself. Why opt for Unreal over Unity? 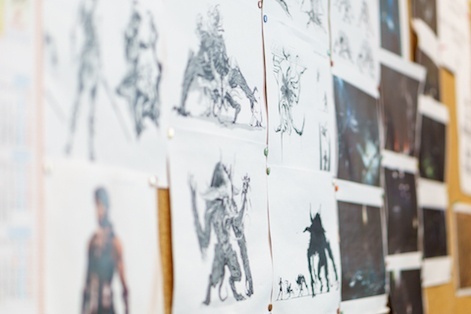 SP: It was very useful in the world-building stage of the game; for the level design and dressing. 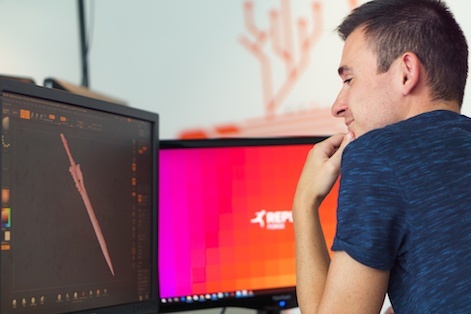 Unreal has very powerful tools; it's useful because it helps designers with Blueprint technology. It helps you prototype your own stuff and then pass it on to a programmer who can write actual code to have that feature running. When you work with Unreal, you can edit, put your hands inside the technology, the engine itself, and that was also useful, considering the SDKs of the headsets and all the technology that was evolving with the engine, so that we could actually do some things on our own when we needed it. On the b2b area, AR is the most promising area of development. How do you see AR having an impact on the b2b enterprise side of things? PC: Currently, the only technology that allows us to create solutions for our customer[s] is Hololens. We have done some experiment[s] with DAQRI; there are some good things on that, like the thermal camera. But still, the development kit is not yet as mature as the Hololens one. 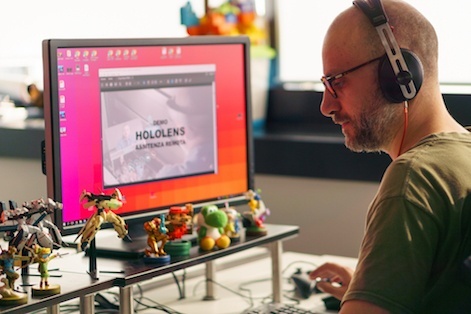 Even if Hololens is in its very first version, there are a lot of things that need to be done. On the b2b area, AR is the most promising area of development because it allows people to have information directly, in the same time when they are working on something. How do you assess the VR market in Italy? SP: If we look at the sales of the game, [Theseus] we see that the results that we got, are quite in line with the charts that you have for gaming in general. PC: In general, VR headsets are not really known by the Italian average people. I know that in other countries you can buy an Oculus in a shop; in Italy it's not yet the case. SP: Yeah there's a lot of room for improvement and also, both in terms of awareness and, definitely, also in terms of install base. Big players have not yet dipped their toes in VR. It was very useful to have our place in a store that was not crowded. Developers working on VR games in Italy, is it a sizeable number of companies working on this stuff or are you in the minority here? SP: Thinking about what I saw when we were in Cologne [at Gamescom], we were there with the Italian trade agency and the Italian developers association, we were like 14 companies. There was a team from Sicily with a VR game for Samsung Gear; there was also another studio that made their debut with a PlayStation VR game as well; there's also another VR game for mobile that's in development here in Milan from another studio. So it's always an option, I think. It's difficult for us now that we're planning for the next game, because big players have not yet dipped their toes in VR. But, on the other hand, more and more partners are coming to the VR store. It was very useful to have our place in a store that was not crowded, but circulation is an issue that you are always dealing with when you develop games nowadays, so it will also become an issue for VR. It was for certain that we could have more visibility in this scenario than in another scenario. But if you look at what happens in two or three years, things may not be as clear as they are now. What are your aims or objectives for the coming year? SP: On the b2c side, our objective is to be very deep into the development of a new game. Now that Theseus has been released, and even before, we were planning for what could come next. We are trying to leverage on the visibility, and what we did with Theseus, to maybe talk with some new people that can now recognise us as a studio that can work with Unreal, work with VR, can work on this kind of scale and scope project. PC: On the b2b side, we have to continue to work on delivering VR project, putting more and more gaming features on it, because this is what our customers are asking. Moreover, pushing a lot on the AR stuff, because it's something really, really important and we are already delivering some interesting projects and I expect we will deliver more in the next month.